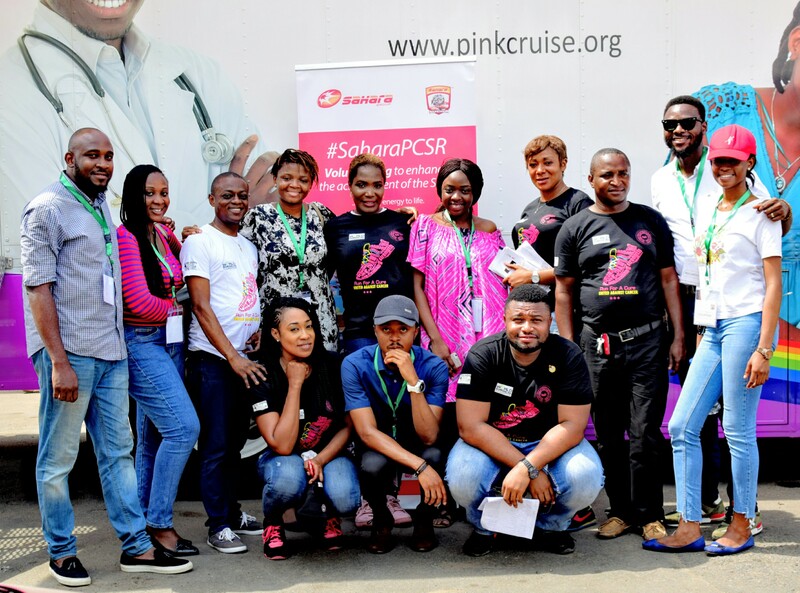 Sahara Foundation partnered with the Committee Encouraging Corporate Philanthropy (Nigeria) – CECP Nigeria and Child Survival and Development Organization of Nigeria (CSDON) to execute a cancer awareness, screening and treatment programme in the Yaba/Makoko community of Lagos. 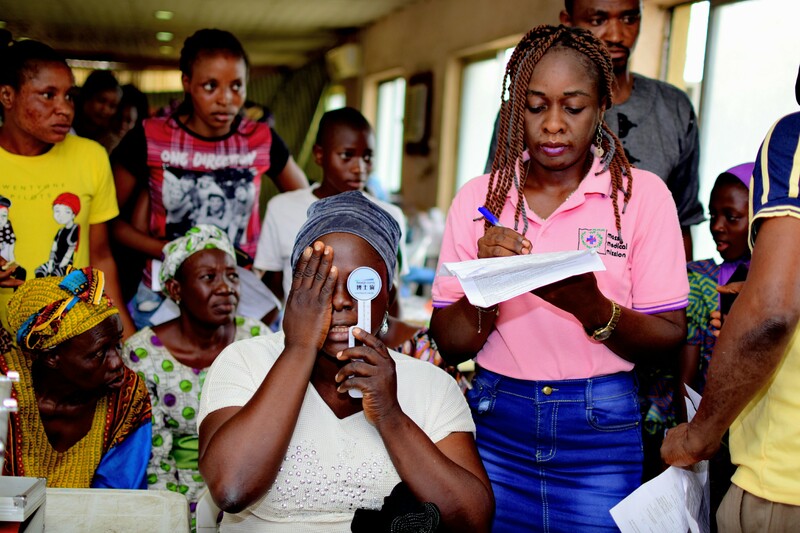 On Saturday, March 17, 2018, Sahara Foundation, CSDON and Mass Medical Mission (the parent body for CECP Nigeria) conducted a mass cancer screening, eye test and general body examination for 883 beneficiaries of the Yaba/Makoko community of Lagos. With the Mobile Cancer Centre, the following cancer screenings were conducted; breast, colon, cervical and prostate cancers. There were about 50 beneficiaries that presented positive to the early stages of cancer for whom interventions were conducted live in the Mobile Cancer Centre to forestall the spread and even terminate the disease. Over sixty percent of the beneficiaries were elderly people between the ages of 50 and 70 years old while about seventy percent of the beneficiaries were women. In addition, drugs were given out free of charge to beneficiaries whose diagnosis showed a need for them. There was also free eye screening with over one hundred recommended and corrective eye glasses given out. To facilitate this outreach, there were 25 doctors and medical practitioners on ground to attend to the beneficiaries. There were also over 40 volunteers supporting the project from all partnering organizations. 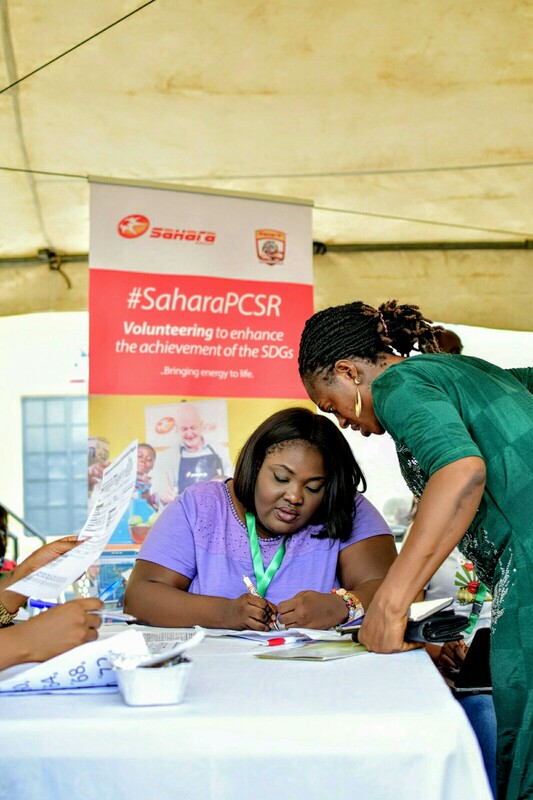 Of the volunteers, there were eight Sahara staff volunteers and three non-staff volunteers that were selected from Sahara Foundation’s public call for volunteers. 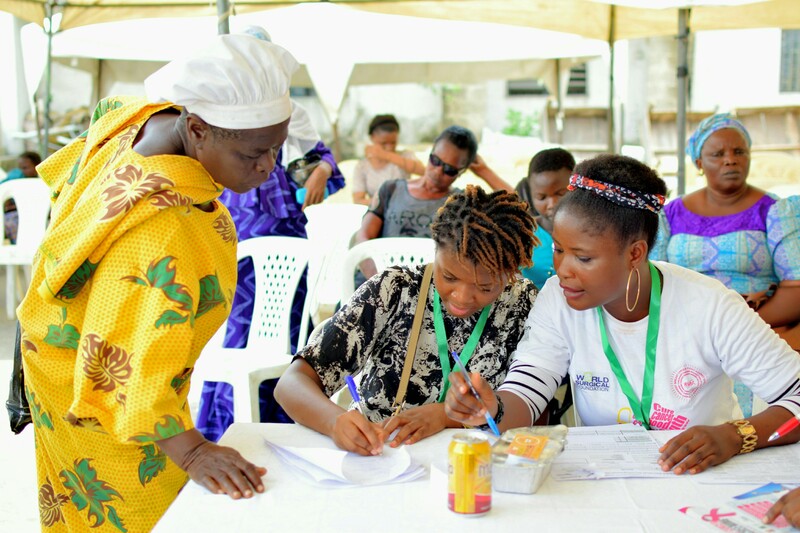 This project with an estimated worth of over twenty five million naira was executed at no financial cost to Sahara Foundation based on the leverage of our network using the extrapreneurship model that drives our activities. We are grateful to our volunteers without whom coordination would have been extremely difficult.